Spanish audio? French? No Problem. 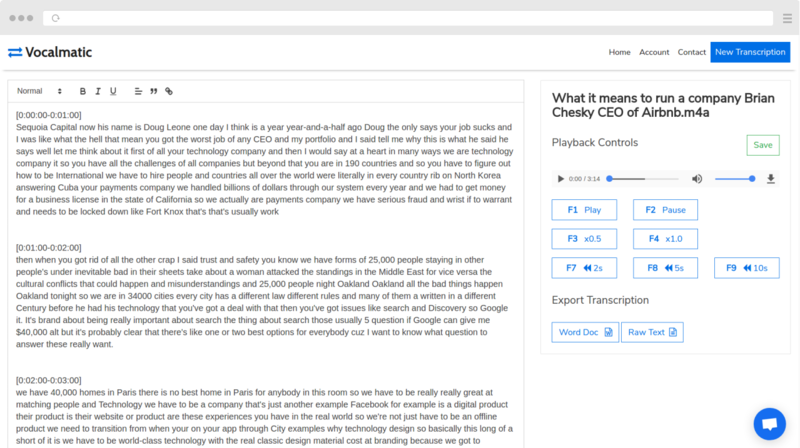 Vocalmatic can convert your audio into text. No matter what language your voice recordings are in, Vocalmatic can automatically transcribe it into text for you. Choose from over 110 languages and variants to get the transcript of your recordings.